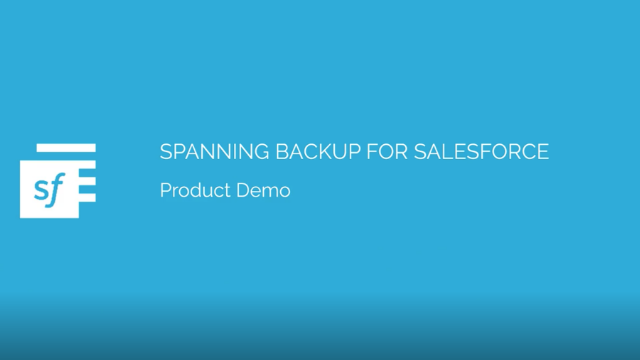 See how Spanning Backup for Salesforce works, including how to easily monitor the status of your Salesforce backups, how to restore data without leaving the Salesforce app, and how to easily export Salesforce data. Additionally, learn how to seed a sandbox by performing a cross-org restore of backed up data from your production org into a sandbox, and how Spanning can restore backed up metadata directly back into your desired Salesforce org. What options are available to you as an end-user to safeguard and recover your lost content in Office 365? As an administrator, how are your end-users protected and what do they need to know (or be taught) so that they can recover from the micro-disasters that happen every day? Office 365 and the Microsoft Cloud are incredibly resilient. You can be confident that your data is secure and available from natural disasters, but what about a disgruntled employee? How can you protect your content from the very people that have access and either accidentally or intentionally delete important information? When G Suite administrators begin evaluating backup and recovery options, many are immediately drawn to Google Vault. While Google Vault is a critical element in archiving and eDiscovery, what does it offer in terms of backup and recovery for critical data? During this on-demand webinar, we’ll break down the benefits of Google Vault, where it can leave your organization exposed to risk and ultimately how to mitigate the gap in protecting your organization’s most valuable asset — your data. Ransomware has become the most problematic and prolific cyber threat to organizations around the world. More than 4,000 ransomware attacks have occurred daily since January 2016 — and according to the FBI, many ransomware attacks are not stoppable by antivirus software alone. Ransomware is here to stay and it’s costing businesses millions of dollars each year. For organizations, it is no longer a question of if it will happen but when. How quickly will you be able to recover? Unfortunately, there is no one method or tool that will completely protect you or your organization from a ransomware attack. Many security expert ands government agencies such as the FBI, advise organizations to create a layered defense against ransomware attacks and to take a proactive approach to security. The end user is often the doorway to ransomware attacks, and by fully protecting their devices and apps, organizations can build an effective defense to ransomware. One easy way to do that is to add cloud backup and recovery to your security arsenal. - How a trusted backup solution like Spanning Backup allows you to quickly recover if and when ransomware strikes. Spanning Cloud Apps, a Kaseya company, is the leading provider of backup and recovery for SaaS applications, helping organizations around the globe protect their information in the cloud. The company provides powerful, enterprise-class data protection for Microsoft Office 365, G Suite, and Salesforce. With data centers located in North America, the EU, and Australia, Spanning Backup is the most trusted cloud-to-cloud backup solution for thousands of companies and millions of users around the world. Learn more at www.spanning.com. Follow Spanning on Twitter @spanningbackup.